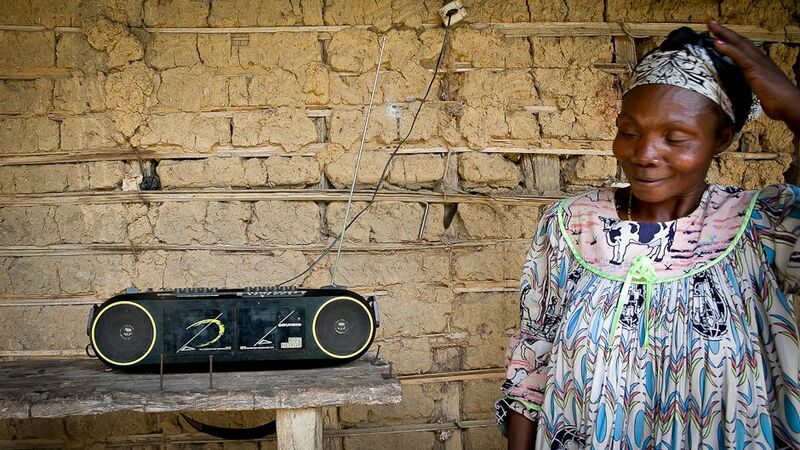 Climate change is hitting the Congo Basin region hard and while communities there and in other parts of Africa struggle to adapt to rising temperatures and changing rainfall patterns, scientists are trying to help — using radio to spread the word. “Radio remains the most dominant, affordable and accessible mass medium in Africa,” added her colleague, Denis Sonwa, explaining why the team decided it needed to find new ways to share research findings rather than relying on text. 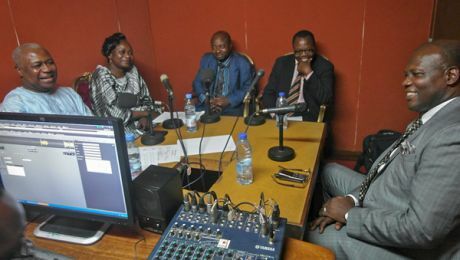 Neighboring countries of Central Africa such as the Democratic Republic of Congo, and Central African Republic can also listen to the program online. The first six editions are devoted to educating listeners about climate change, their own vulnerabilities, various aspects of adaptation and mitigation, and details about UN-backed projects aimed at reducing emissions from deforestation and forest degradation and enhancing carbon stocks (REDD+). CIFOR Senior Scientist and COBAM Programme Coordinator, Anne-Marie Tiani discussing climate change adaptation and mitigation in the studio of Cameroon Radio and Television (CRTV). Photo: Merline Touko, COBAM/CIFOR. This article first appeared on CIFOR’s Forests News blog. Could Radio Help Mitigate Climate Change in the Congo Basin? by Babatope Akinwande is licensed under a Creative Commons Attribution-ShareAlike 3.0 Unported License. Babatope Akinwande is the CIFOR Regional Communications Officer for Africa based in Yaoundé, Cameroon. His broadcasting career started with the BBC as an Abidjan correspondent. He also worked for Radio France International and Deutsche Welle Radio as a stringer, and for World Press Review as a Francophone Africa correspondent. Since then, he has worked in international development as well as humanitarian and development communications for International Alert, Tearfund, the International Federation of the Red Cross and Red Crescent Societies (IFRC) and the Joint United Nations Programme on HIV/AIDS (UNAIDS).